Frida Kahlo, who was a most renowned Latin American artist of the 20th century and was famous for her self-portraits, was also an ardent photographer and collector of photographic imagery, as was her husband, celebrated Mexican mural artist, Diego Rivera. Today, it was announced that a six-month scheme, financed by the Bank of America, is to be set up, in order to conserve 369 of her private collection of photographs to be made available for public viewing at the museum, La Casa Azul (The Blue House), that was once her home in Mexico City, until her death in 1954. 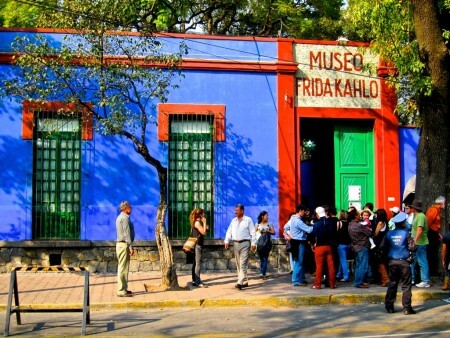 La Casa Azul, which carries a sign that reads: “Museo Frida Kahlo,” at its entrance, was transformed into a museum in 1958. It currently houses an archive of around 6,500 images, many of which were taken by Kahlo and her husband, and that depict the essence of Bohemian life in the earlier part of the 20th century. The restoration scheme by Bank of America Merrill Lynch is one of 25 projects that are to be assumed by the bank over the course of this year. In and among the images can also be found a series of photographs of the French writer and poet, André Breton and Russian Marxist revolutionary and theorist, Leon Trotsky. In addition to the many photos that are in need of restoration are photographs taken by the renowned American modernist artist, Man Ray and French photographer and so-called father of photojournalism, Henri Cartier-Bresson. Photographs of American influential photographer, Edward Weston and Mexican photographers Manuel Alvarez Bravo (artistic photography) and his second wife, Lola Alvarez Bravo (photojournalism). 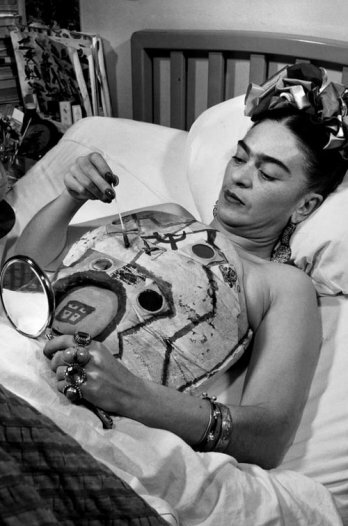 All were leading figures, pioneers or founders in their fields: always on the cutting edge, as was Kahlo. Director of the Museo Frida Kahlo, Hilda Trujillo suggests that the photographs, which span over more than 70 years and date back as early as the 1880s, offer important historical evidence of both Frida Kahlo and her husband Diego Rivera’s lives, enabling us an understanding of Kahlo’s personality, socio-political views and personal relationships with her husband, friends and family as well as her frustrations due to her ill-fated streetcar accident, that prevented her from carrying an embryo to full term. 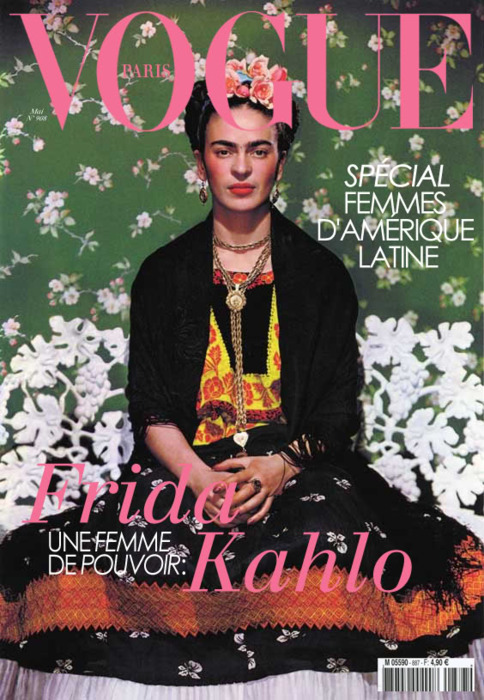 Trujillo said that each photograph represents a puzzle piece that fit a picture of Kahlo’s varied and complex life. According to the Allen Blevins, director of global art and heritage programs at the Bank of America, Kahlo and Rivera were two of the most influential figures in 20th century and Mexican art, as well as being larger-than-life individuals, who, along with their friends, were also at the center of the most significant arts and political movements of their time. Last November, hundreds of Kahlo’s dresses from her eclectic wardrobe went on display in Mexico City. Following her death in 1954, Kahlo’s wardrobe had been kept by her husband until they were discovered after his death in 1957. From that point, the collection of dresses were locked away until they were once again rediscovered in 2004 and put on display in Mexico City. The current restoration of Kahlo’s private collection of photographs is a selected project, that is part of a Bank of America sponsored scheme and is one out of 58 projects from 26 different countries that was launched in 2010. On completion, the photographs will be available for viewing at the Museo Frida Kahlo in Mexico City.